If brevity is the soul of wit, Twitter is about to get a lot less clever. For the first time in history, Twitter (TWTR) is changing its character limit. The service announced on Tuesday it is doubling its character count for tweets -- from 140 characters to 280 characters -- for some of its users. The test group will include those who tweet in certain languages, including English, Spanish and Portuguese. Twitter cofounder and CEO Jack Dorsey has hinted at expanding the character limit before. Earlier this year, Twitter removed user handles -- a person's Twitter name preceded by the @ sign -- from replies to tweets, instead linking them in text above the tweet. Twitter says it hopes people will embrace the change. But considering the move strays from its core design, it's likely to cause some backlash. The decision to limit the tweet character to 140 stems from text messaging. SMS messages are capped at 160 characters before they're split in two texts. Dorsey has said founders wanted tweets to be able to fit in a text message: 140 characters for the tweet, and 20 characters for the username. Users may also argue Twitter should focus less on the length of the tweets, and more on the content. Twitter continues to be rife with harassment and abuse, despite the company's efforts to better police it. Many have called on Twitter to address the U.S. president's use of the platform. On Monday, North Korea's Foreign Minister Ri Yong Ho said President Trump declared war on his country when he tweeted that North Korea "won't be around much longer." Twitter said Monday afternoon that it holds all accounts to the same rules, and weighs tweets' newsworthiness and public interest when considering whether accounts violate its rules. 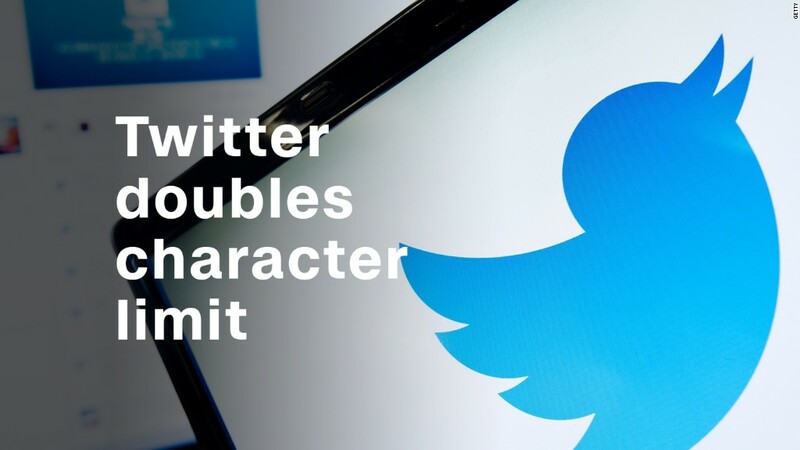 The company noted in a blog post that cramming thoughts to fit Twitter character counts is more of a hassle for some users in specific language. Tweets sent in Japanese use 140 characters just 0.4% of the time, while English-language tweets hit 140 characters 9% of the time. 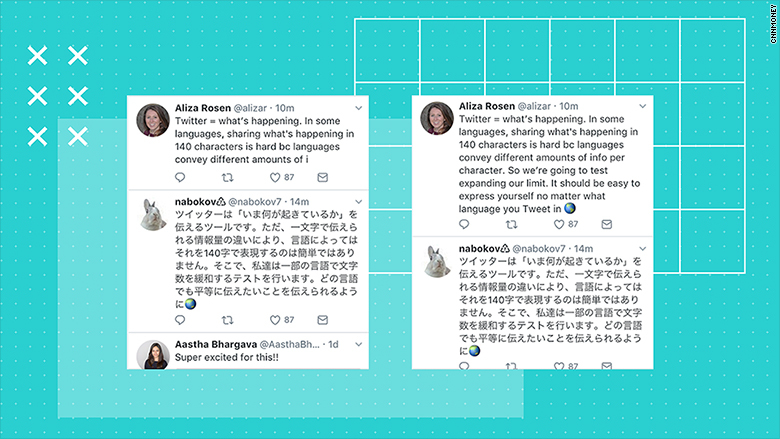 Twitter explained that in Japanese, Korean and Chinese, people can convey twice as much information as languages like English and Spanish. "Our research shows us that the character limit is a major cause of frustration for people Tweeting in English, but it is not for those Tweeting in Japanese," the post reads. Only a "small group of people" will get the new limit before Twitter launches it to everyone. But all users will be able to see longer tweets.